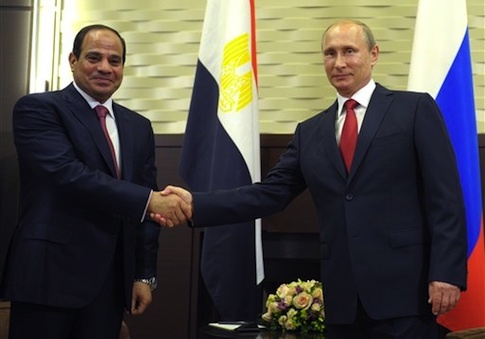 Egyptian President Abdel Fattah el-Sisi has asked Russia to supply Egypt with high-tech fighter jets, attack helicopters, and anti-tank missile systems, according to regional reports. 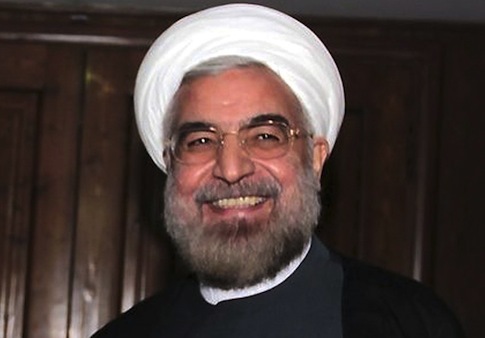 Egypt has extended an invitation to Iranian President Hassan Rouhani to attend the inauguration of newly installed President Abdel Fattah al-Sisi, according to Reuters. 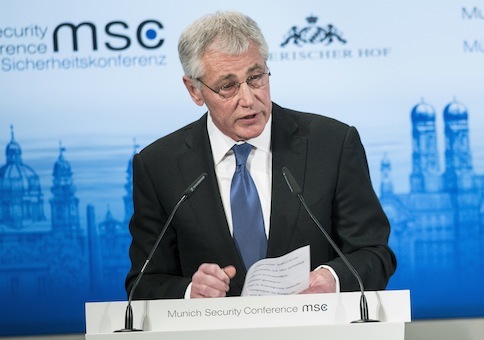 Secretary of Defense Chuck Hagel sought to downplay the viability of a U.S. military strike on Iran during an informal chat Tuesday evening at a Washington-area synagogue. Freedom in the world has declined in recent years despite a sweeping wave of democratization in the last few decades, according to a new report. 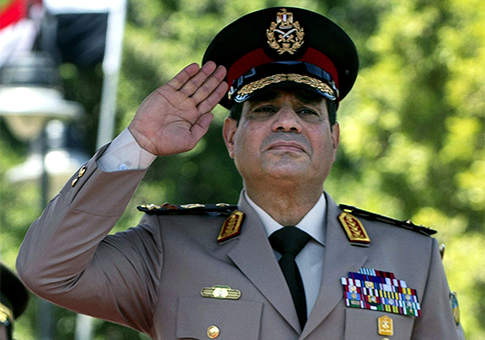 Anxious over months of turmoil in Egypt, military officers are pushing popular army chief Abdel Fattah al-Sisi to run for president, after a 2011 popular uprising had inspired hopes for democratic change in a country long dominated by generals. 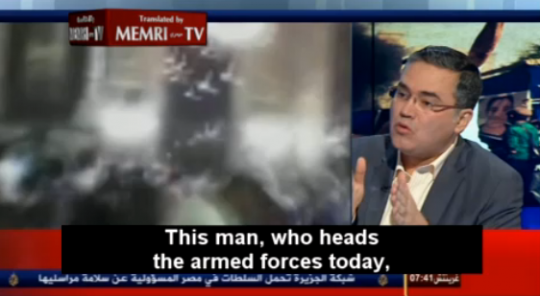 Al Jazeera commentator Gamal Nassar claimed Saturday that Egyptian military leader Gen. Abdel Fattah al-Sisi is “implementing a Zionist plan to divide Egypt,” in a segment translated by Memri. 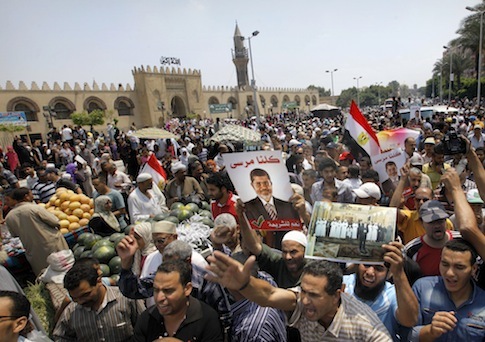 Obama Policies Turning Egypt Against U.S. 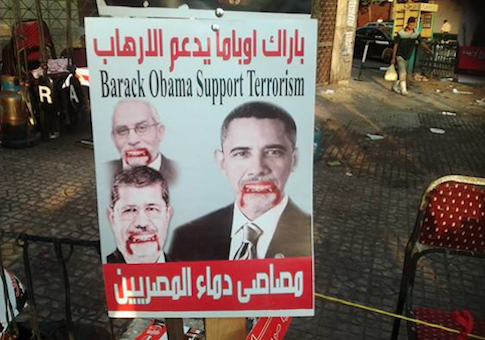 The Obama administration support for Muslim Brotherhood Islamists in Egypt is driving the powerful military there against the United States and toward Moscow, according to U.S. officials and reports from the region. 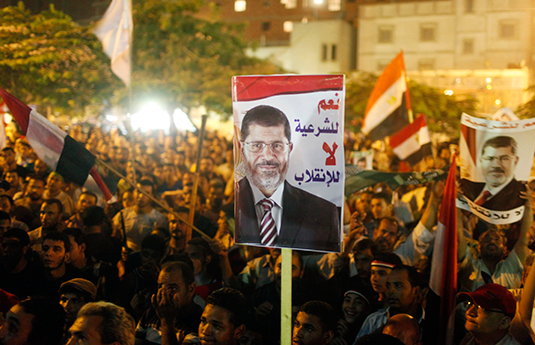 The Muslim Brotherhood has rejected pleas from international envoys to “swallow the reality” that Mohamed Morsi will not return as Egypt’s president, the Brotherhood spokesman said on Monday. The envoys, trying to resolve a political crisis brought on by the army’s overthrow of the Islamist Morsi a month ago, had visited jailed Brotherhood deputy leader Khairat El-Shater in the early hours of Monday. The seizure of control by the military in Egypt will likely embolden the Islamist Muslim Brotherhood and could push the country into a devastating civil war resembling Algeria in the 1990s, experts on the region said Monday. 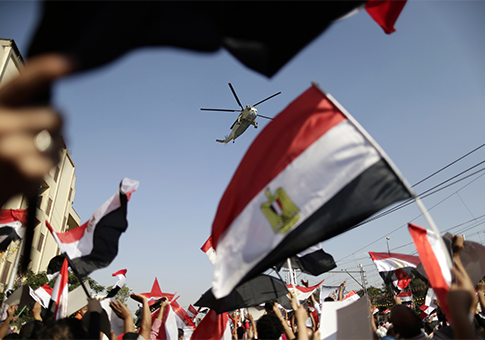 Immediately withdrawing U.S. aid to Egypt or placing stringent conditions on its delivery risks inciting a backlash among the Egyptian people and sparking more violence, Middle Eastern experts said Thursday.